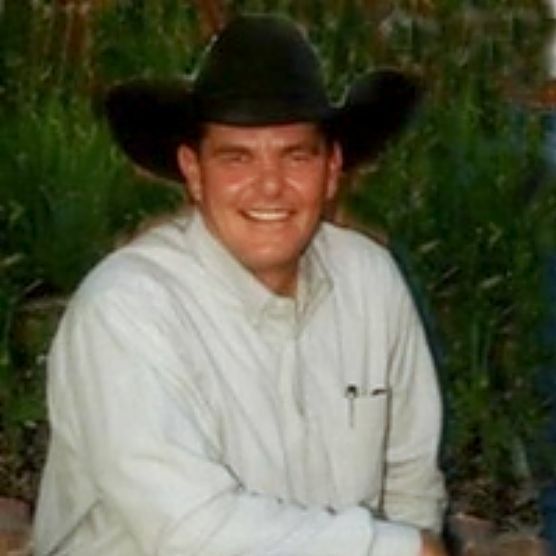 Darin Dale Noyce, of Aladdin, Wyoming passed away unexpectedly April 15th, 2019 in Riverton, Wyoming. He was born on June 9th, 1963 in Belle Fourche, SD to David and Judy Noyce. Darin was lovingly raised by his parents Rick and Judy Brengle on the ranch in Aladdin, WY. He attended Four Oaks Country School until 8th grade. He was a 1981 graduate of Hulett High School where he was an athlete participating in several sports including his love, rodeo. Darin pursued saddle bronc riding with the PRCA and competed for 8 years in the Badlands Circuit winning several championships including Santa Fe, Clearlake and Mitchell Rodeos. He was united in marriage to Roberta Single on September 23, 1989 in Belle Fourche, SD. They moved to Moorcroft, WY in 1990 where they worked at the Ship Wheel Ranch. To this union two children were born a daughter, Laramie, and son, Walker. In 1991 Darin and Roberta purchased Wishbone Fencing from Merle Clark. Darin continued to operate Wishbone Fencing until his passing. Some of his accomplishments and offices held were, Wyoming Contractors Association President in 2013, and in 2014 was named Wyoming Contractor of the Year. Darin adored his kids Laramie and Walker, his love Roberta, his family, many friends and let's not forgot his office dogs Walter and Mozzi. He never met a stranger and will be best remembered by his sense of humor, loving smile and how he enjoyed pranks and telling jokes. He was preceded in death by his father, David Noyce, in 1964, grandparents, and his special Grandma Roberta. He will be greatly missed by his parents, children, and siblings, Dane (Sally) Noyce, Davanne (Mick) Moul, Danette (Russ) Hansmeier and several nieces and nephews, aunts, uncles and cousins. A celebration of Darin's life will be held from 3pm-6pm, Saturday, April 20, 2019 at the Branding Iron in Belle Fourche. Darin will be laid to rest at his family's ranch near Aladdin.